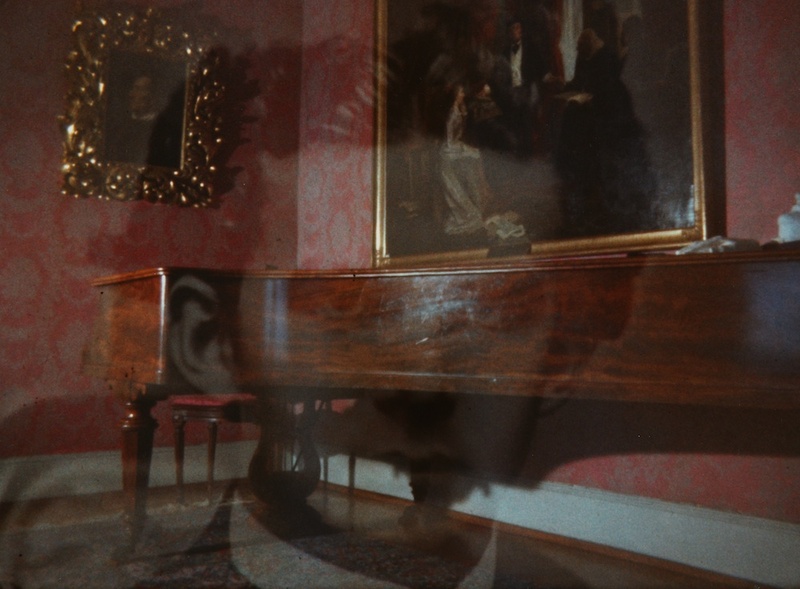 Two of Gregory J. Markopoulos’ most celebrated films, Twice a Man (1963) and The Illiac Passion (1964-67), will screen in London at Close-Up Film Centre in early December, as part of the National Film & Television School programme “The Pursuit of Wholeness”. 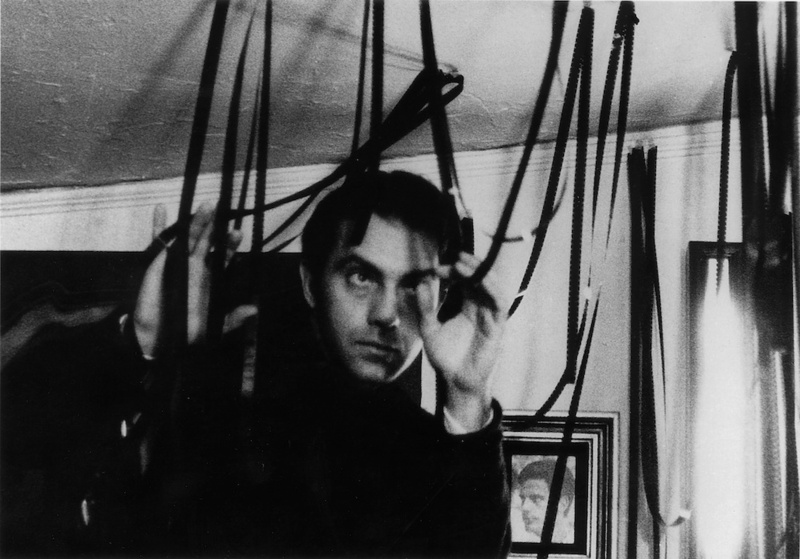 The Pursuit of Wholeness pays tribute to seminal avant-garde filmmaker Gregory Markopoulos, with rare 16mm screenings of two of Markopoulos’ most acclaimed films and an exclusive preview of film critic Georgia Korossi’s documentary Devotion, a film that gives precious testimony of the 2016 edition of Temenos, the quadrennial event of screenings of Markopoulos’ monumental Eniaios. Curated by Eleonora Pesci, this programme especially focuses on the ongoing, profound bond between the filmmaker’s works and his Greek heritage. It is part of a larger film season, The Pursuit of Wholeness, a National Film & Television School film programme exploring the influences of ancient Greek mythology and archetypes on cinematic quests for sexual and gender identity. Copies of “Film as Film: The Collected Writings of Gregory J. Markopoulos,” which gathers almost 100 texts dating from 1950 to 1992, will be available at the screenings. A new article posted by Ivan Čerečina on the independent film magazine 4:3 surveys a recent screening series that explored the relationship between Gregory J. Markopoulos and the Australian filmmakers and publishers Arthur and Corinne Cantrill. “The Language of the Image” was curated by Audrey Lam and Keegan O’Connor as part of MEL&NYC, and the programmes were shown at the National Gallery of Victoria in Melbourne. From 1972-75, Markopoulos published several essays in the Cantrill’s long-running journal Cantrill’s Filmnotes, including “A Supreme Art in a Dark Age”, “Art is Not Knowledge” and “Towards a Complete Order.” Numerous prints of films by Markopoulos and Robert Beavers were available for many years through the Australian library system and are now deposited in the National Film and Sound Archive. 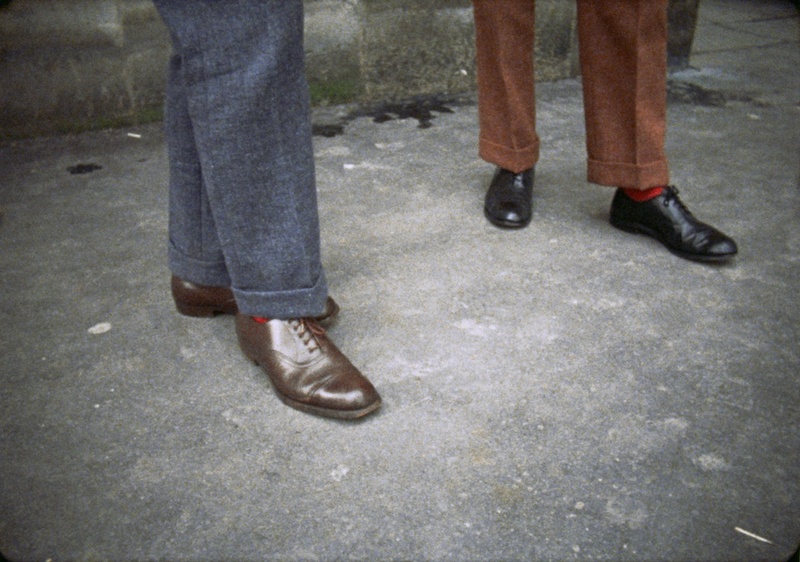 In the case of Robert Beavers, these represent the early versions of his films and the prints may be unique edits. 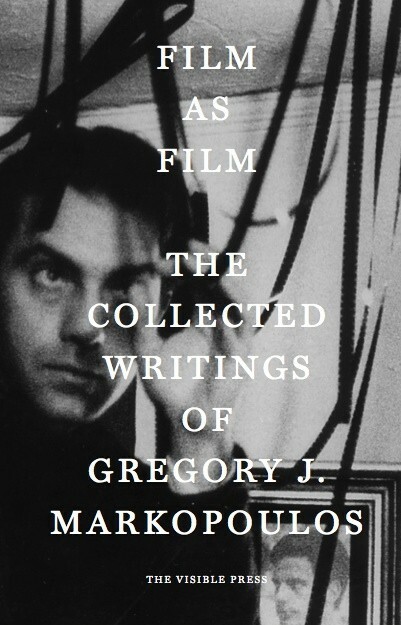 Film as Film: The Collected Writings of Gregory J. Markopoulos is still available from The Visible Press in both the original hardback and the more recent paperback editions. All back issues of Cantrill’s Filmnotes can be purchased by contacting the Cantrills direct. The Visible Press are pleased to announce the newly available paperback edition of Film as Film: The Collected Writings of Gregory J. Markopoulos. The 2014 publication of Gregory Markopoulos’ writings was greeted with widespread acclaim and celebration. As the original hardback edition falls out of print, we felt that it was necessary to keep these important texts available. The new paperback has a slightly smaller page size (8 x 5 inches) and is 544 pages long. This edition is printed throughout in black and white, and does not contain the 16 pages of colour images that were in the original, but it does benefit from minor corrections and a revised filmography. All of the original texts are intact. Gregory J. Markopoulos (1928-1992) is a unique figure in film history. As a contemporary of Kenneth Anger, Stan Brakhage and Andy Warhol, he was at the forefront of a movement that established a truly independent form of cinema. Later in life, the filmmaker pursued his ideal of Temenos, an archive and screening space to be located at a remote site in the Peloponnese where his epic work ENIAIOS could be viewed in harmony with the Greek landscape. The publication of Film as Film brought to light some ninety out-of-print or previously unavailable articles written between the mid-1950s and 1992. 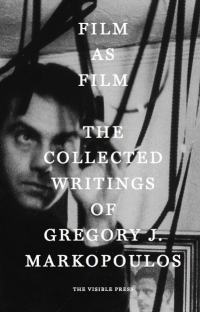 Film as Film: The Collected Writings of Gregory J. Markopoulos can be ordered direct from The Visible Press, and should also be available through your local Amazon site. It is also being stocked by some of our partner shops. 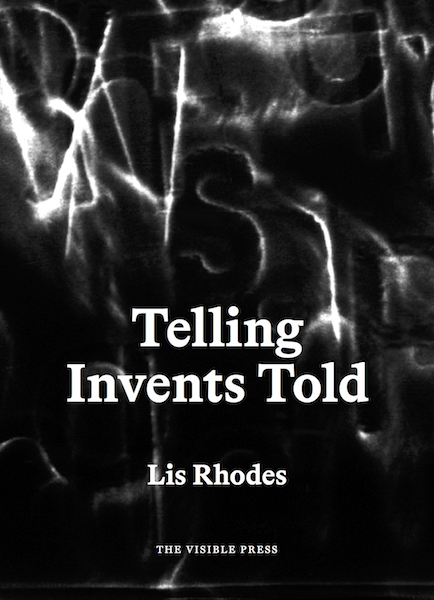 The paperback edition is being printed digitally. The Visible Press maintains copies on hand for mail order and retail, but the book may be printed on demand if you purchase from other online sources. Whilst we are very happy with the quality of this digital production, rest assured that we remain committed to producing new books with the same high quality and production values as our first three titles. A handful of copies of the first edition hardback are still available. The book is now becoming collectable so we have increased the price to £50 to raise additional funds for Temenos and to support the continuation of The Visible Press. To purchase, please select “Hardback” from the pop-up menu on the order page. For more details, or to place an order, visit The Visible Press shop. A list of screenings and events that have taken place in support of Film as Film and Flare Out are shown below. A maximum of 20 events are shown per page. Please use the monthly navigation links at the top or bottom of this list to view more recent events. Details can be expanded by using the ‘+’ symbol, and the ‘read more’ link within each event window. 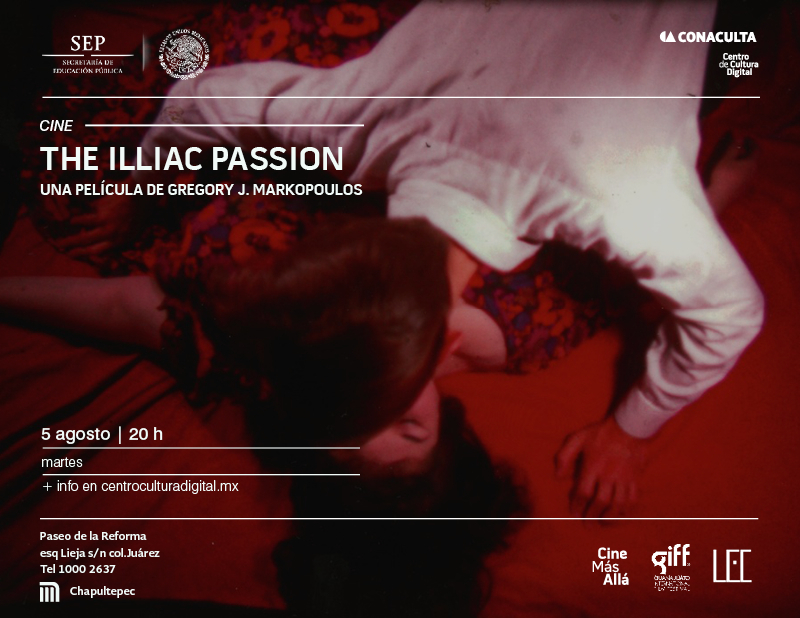 This rare screening of The Illiac Passion celebrates the publication of “Film as Film: The Collected Writings of Gregory J. Markopoulos” (The Visible Press, 2014) and will be introduced by the book’s editor Mark Webber. 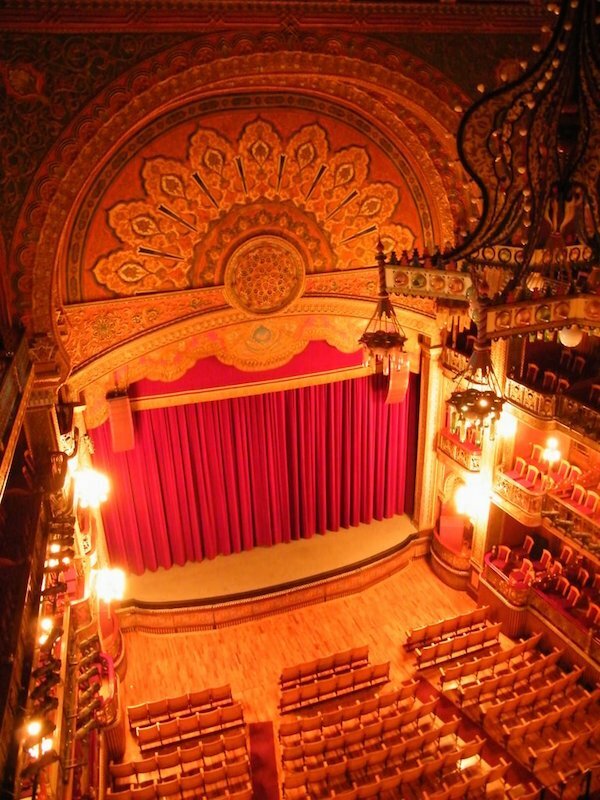 The projection will take place in the amazing Teatro Juarez in Guanajuato. Esta proyección única de la mítica película The Illiac Passion de Gregory J. Markopoulos celebra la publicación de “El cine como película: Las Obras completas del Gregory J. Markopoulos” (The Visible Press, 2014), y será presentado por el editor del libro, Mark Webber. Gregory J. Markopoulos (1928-1992) fue uno de los cineastas más originales de la vanguardia de postguerra. Sus películas, que suelen traducir fuentes literarias o mitológicas a un contexto contemporáneo, son reconocidas por su extraordinaria creatividad, el sensual uso de color y las innovaciones en la forma cinematográfica. En los años sesenta, Markopoulos participó activamente en la dinámica comunidad cinematográfica de Nueva York – el mismo medio en el que las obras históricas como Scorpio Rising (Kenneth Anger), Flaming Creatures (Jack Smith) y The Chelsea Girls (Andy Warhol) encontraron sus primeras audiencias. Fue aquí que Markopoulos hizo una de sus películas más célebres, The Illiac Passion, una extravagante interpretación de “Prometeo encadenado” de Henry David Thoreau, poblada de personajes fantásticos de la escena underground. Warhol aparece como Poseidón junto a Beverly Grant, Taylor Mead, Jack Smith, y otras figuras importantes de la escena artística del momento. La banda sonora de esta visionaria re-interpretación de la esfera clásica ofrece una lectura fracturada de la traducción de Thoreau de Esquilo y extractos de la música Bartók. En colaboración con Festival Internacional de Cine de Guanajuato y el Laboratorio Experimental de Cine. 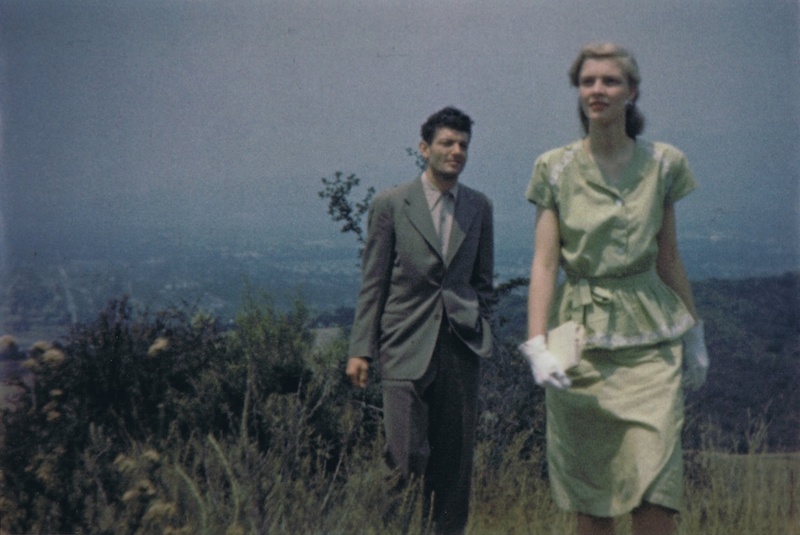 Part of Gregory J. Markopoulos: Film as Film at Anthology Film Archives, New York, USA. 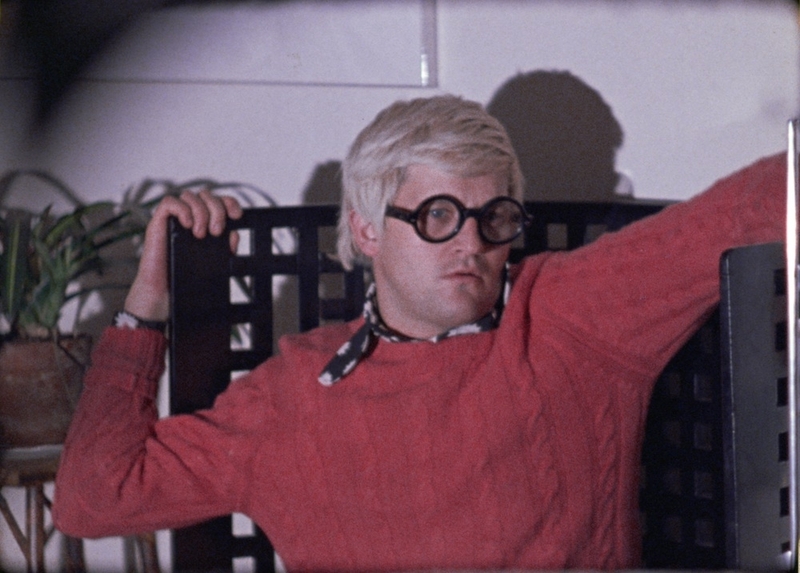 In 1966, Gregory Markopoulos filmed portraits of notable figures in the New York art world, including painters, poets, critics, filmmakers, and choreographers. 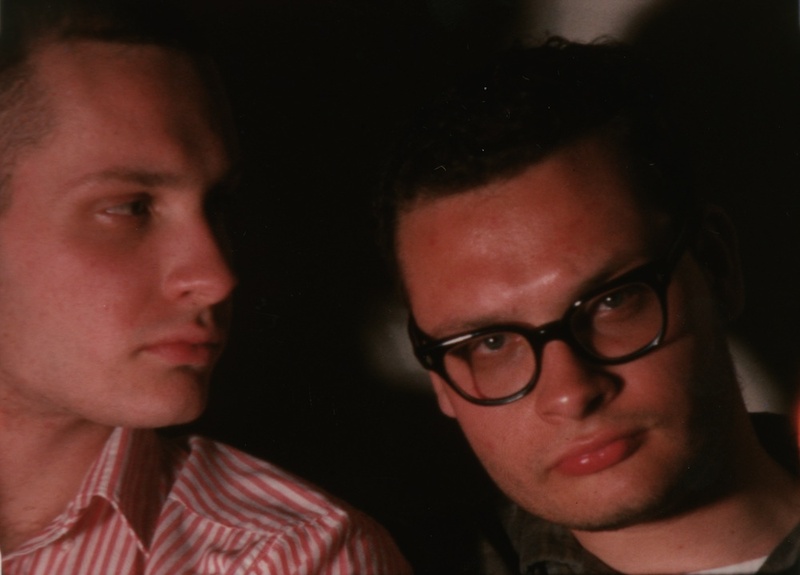 Markopoulos populated his Galaxie with a remarkable constellation of personalities, ranging from those in his immediate circle of filmmakers (Jonas Mekas, Storm de Hirsch, the Kuchar Brothers) to luminaries from other art forms (Jasper Johns, W.H. Auden, Allen Ginsberg). Each is shot with a single roll of 16mm film and, though edited entirely in-camera in the moment of filming, comprises many layers of dense superimpositions that build a complex portrait of the sitter. 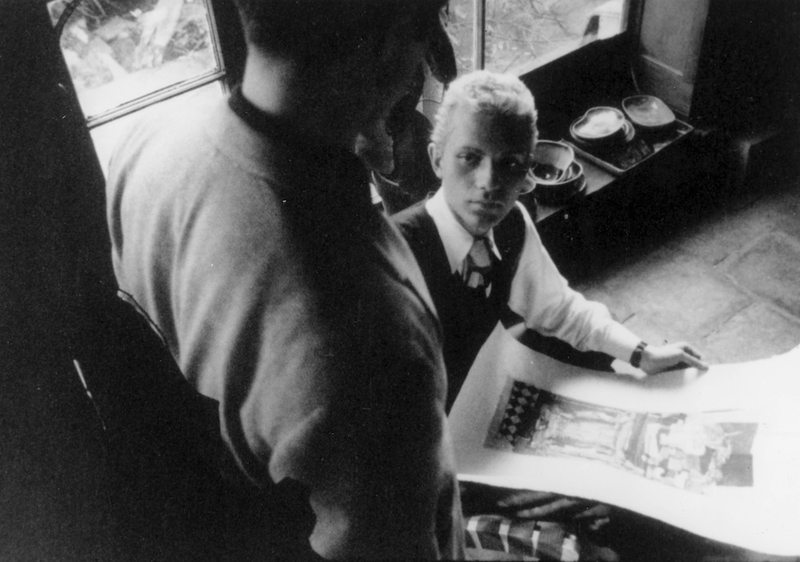 The subjects were invited to pose in their home or studio, together with personal objects of their choice: Parker Tyler is a seen with a drawing by Tchelitchew, Susan Sontag with photographs of Garbo and Dietrich, Shirley Clarke and Maurice Sendak both with children’s toys, Gregory Battcock with a Christmas card and zebra rug. The film is silent except for the sound of a ritual bell, its number of rings increasing incrementally until 30 chimes accompany the final portrait. 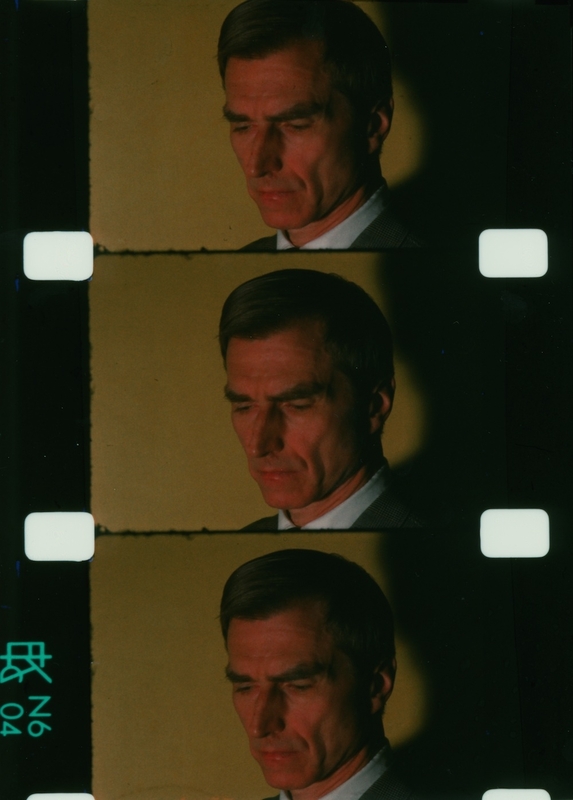 With this new form of portraiture, Markopoulos developed a detached but empathetic middle ground between the cool objectivity of Warhol’s Screen Tests and the informal portrayals of friends seen in the diary films of Mekas. The portrait would subsequently become a prevalent aspect of Markopoulos’ filmmaking for works such as Through a Lens Brightly: Mark Turbyfill, Political Portraits, and Index: Hans Richter; Saint Actaeon. Genius, his interpretation of Faust (screening at Anthology Film Archives on September 13), consists only of portraits of Leonore Fini, David Hockney, and Daniel Henry Kahnweiler. 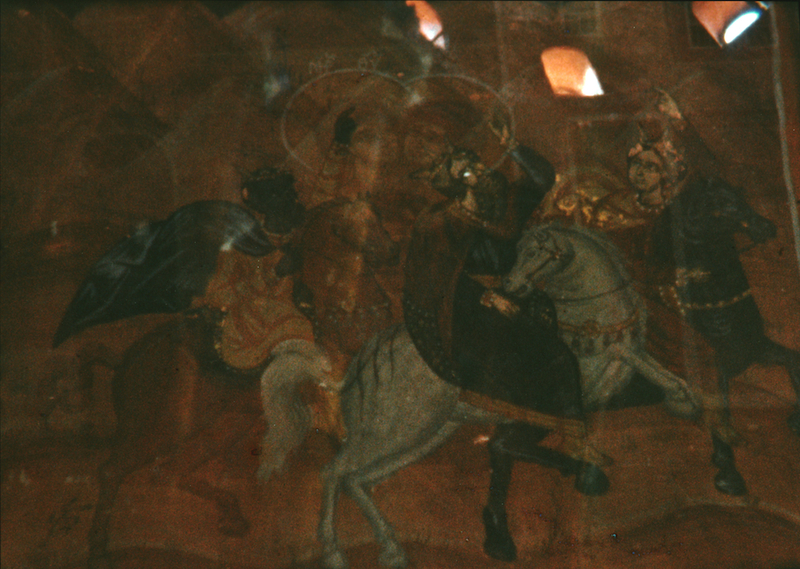 Many such studies were later incorporated in his monumental, final work Eniaios. Co-presented with Cinema Studies at the University of Pennsylvania. 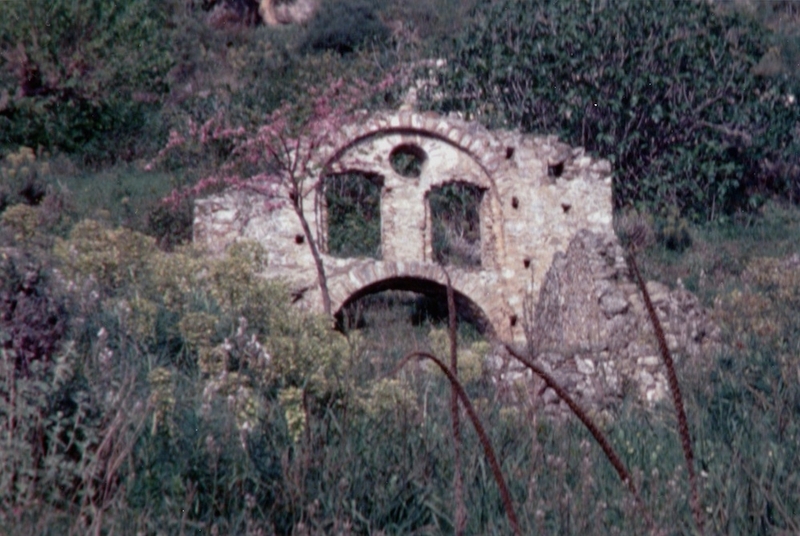 Markopoulos’ elegant film of the castle of Roccasinibalda in Rieti, Italy, (then owned by patron, publisher and activist Caresse Crosby) employs an intricate system of fades to extend five minutes of footage to an hour of viewing time. This inventive new film form, in which brief images appear amongst measures of black and clear frames, was a crucial step towards Markopoulos’ monumental final work Eniaios (1947-91). An exquisite portrait of the interior of a Byzantine church on the Greek island of Hydra, edited in-camera in the moment of filming. Part of Film as Film: The Cinema of Gregory Markopoulos at Harvard Film Archive, Cambridge, MA. Markopoulos’ first attempt at making a 35mm feature film, clearly inspired by the cinema of Jean Cocteau, was left unfinished and the materials were lost for many years. The life of painter, dancer and poet Mark Turbyfill, seen in his 70th year, is evoked through Markopoulos’ unique form of cinematic portraiture. Celebrating the publication of Film as Film: The Collected Writings of Gregory J. Markopoulos (The Visible Press), filmmaker Robert Beavers, and the book’s editor Mark Webber will present a very rare screening of three early Markopoulos films that were made in the United States in the mid-1960s. Co-presented by Basilica Hudson and the Film and Electronic Arts Department at Bard College. Dedicated to Stan Brakhage. Music: Traumen / Wesendonck Lieder by Richard Wagner. Filmed in New York City. Based on the story of Hippolytus. Featuring Paul Kilb, Olympia Dukakis, Albert Torgesen. Music: Excerpt from Manfred Symphony, op. 58 by Pyotr Tchaikovsky. Filmed in New York City, Staten Island, Long Island and Bear Mountain Park. Featuring Mark Turbyfill. Filmed in Chicago. 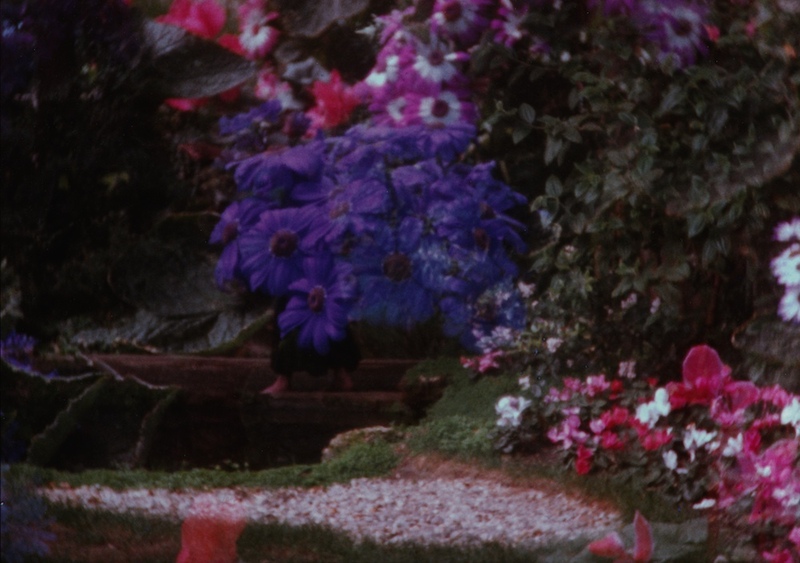 Basilica Screenings is a film series that presents an array of works from new and repertory narrative features, documentaries, experimental films, to video and media art, often with filmmakers and special guests in attendance for a discussion following the screenings. Programmed by Basilica Hudson’s film curator Aily Nash, and creative directors Melissa Auf der Maur and Tony Stone. Celebrating the publication of Film as Film: The Collected Writings of Gregory J. Markopoulos (The Visible Press), filmmaker Robert Beavers, scholar Daniel Heller-Roazen, and the volume’s editor Mark Webber will lead a discussion of Markopoulos’ unique vision of film and the film spectator. Following the discussion will be a very rare screening of one reel of his magnum opus, Eniaios. 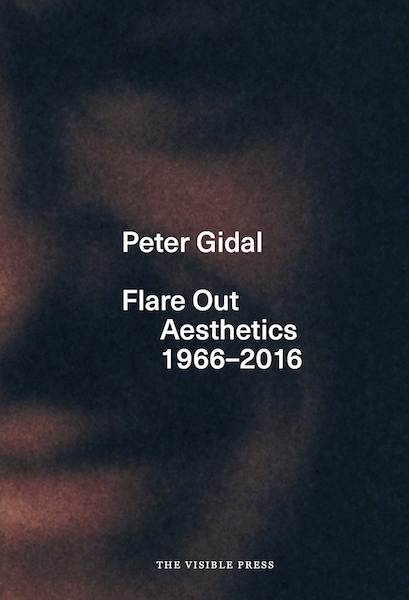 This publication contains some ninety out-of-print or previously unavailable articles by the Greek-American filmmaker (1928-1992) who, as a contemporary of Kenneth Anger, Stan Brakhage and Andy Warhol, was at the forefront of a movement that established a truly independent form of cinema. 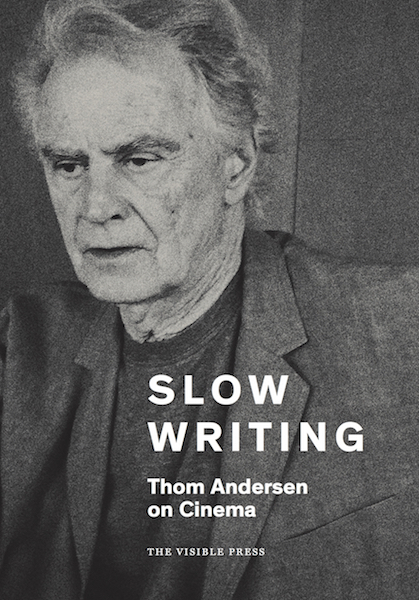 Beginning with his early writings on the American avant-garde and auteurs such as Dreyer, Bresson, and Mizoguchi, it also features numerous essays on Markopoulos’ own practice, and on films by Beavers, that were circulated only in journals, self-published editions, or program notes. The texts become increasingly metaphysical and poetic as the filmmaker pursued his ideal of Temenos, an archive and screening space to be located at a remote site in the Peloponnese where his epic, final work Eniaios could be viewed in harmony with the Greek landscape. In the last decades of his life, working quietly in Europe, Markopoulos re-edited his whole body of earlier films and dozens of new ones into one magnum opus, Eniaios. It is one of the longest films ever made: the complete film lasts approximately 80 hours and is divided into 22 cycles. From the moment he began to construct it, it was Markopoulos’ intention that Eniaios be projected only at the open-air site of what he called “The Temenos,” in a field near the village of Lyssaraia, the birthplace of his father in the Peloponnese of mainland Greece. 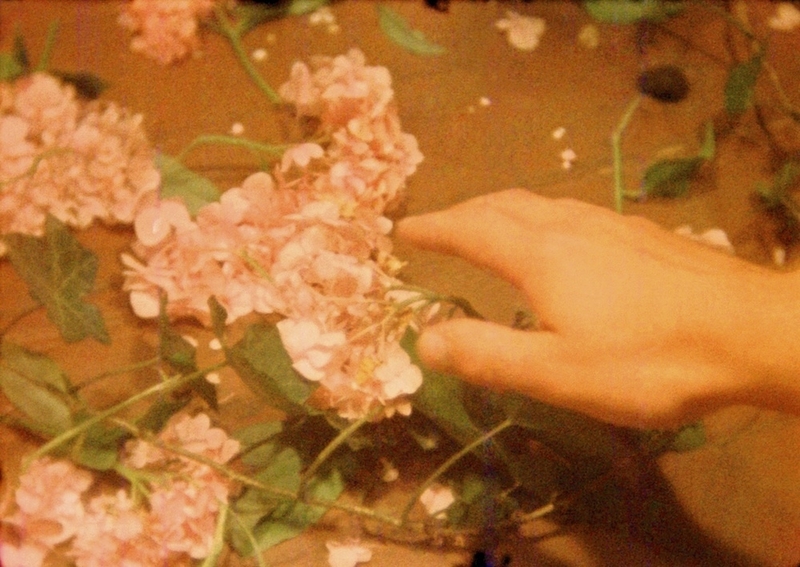 For Eniaios, the summa of his career, Markopoulos wished to create a deeply personal and utterly unique cinematic experience. He chose the site for its natural beauty; he had conceived the Temenos as a viewing space where the physical environment would be in harmony with his idea of cinema as an instrument of philosophical and psychological revelation. In calling his projection space “The Temenos,” the filmmaker was invoking the religious traditions of ancient Greece, where a portion of land was set aside for the ritual worship of a god. 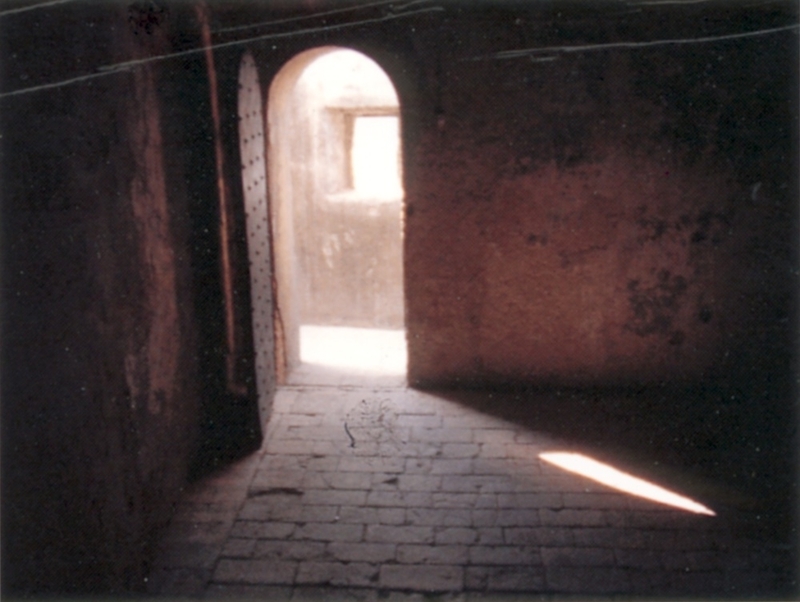 The original meaning of the term “Temenos” is “a piece of land set apart.” Markopoulos wanted his life work shown in a space “set apart,” when after years of working in the international arena of the experimental film, he grew disillusioned with the interrelated commercialism of the film industry, the universities, and the art museums. He was convinced that the grandeur of what he called “film as film” required something radically different. Gregory Markopoulos: The Collected Writings is made possible with support from Axe-Houghton Foundation and Lambent Foundation Fund of Tides Foundation, and in part by public funds from New York City Department of Cultural Affairs in partnership with the City Council and New York State Council on the Arts with the support of Governor Andrew Cuomo and the New York State Legislature. To celebrate the publication of Film as Film: The Collected Writings of Gregory J. Markopoulos, the book’s editor Mark Webber will give an illustrated talk to introduce Markopoulos’ work, his extraordinary writings of cinema, and his landmark film Twice a Man (1963). Featuring Paul Kilb, Olympia Dukakis, Albert Torgesen. Music: Excerpt from Manfred Symphony, op. 58 by Pyotr Tchaikovsky. Filmed in New York City, Staten Island, Long Island and Bear Mountain Park. Presented by Courtisane, in collaboration with UGent – Vakgroep Kunst-, Muziek- en Theaterwetenschappen on the occasion of the course “Sleutelmomenten uit de geschiedenis van de experimentele film en videokunst” by Prof. Dr. Steven Jacobs. Don’t miss the screenings of Markopoulos’ films at the ÂGE D’OR festival at Cinematek Brussels. A visionary interpretation of the myth of Prometheus, The Illiac Passion is also one of the most acclaimed movies of the author. 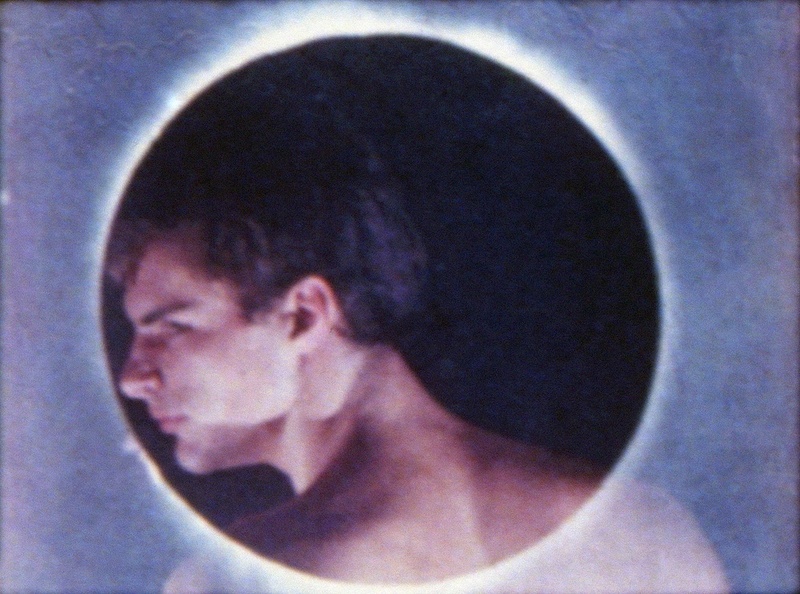 In this ode to creation, Markopoulos gave Jack Smith the role of Orpheus, casts Andy Warhol as Poseidon and Gregory Battcock as Phaeton. Bartók’s musical passages and text excerpts from Aeschylus, translated by Thoreau and read by Markopoulos, compose the soundtrack. Preceded by a lyrical description of a Byzantine church on the Greek island of Hydra.